Since the introduction of the iPhone 4, there has been much speculation whether Apple modeled its flagship product after a wristwatch. Looking at the iPhone 4 and the latest iPhone 5s, show numerous design similarities that certainly beg the question. The latest iPhones, with the notable exception of the Thermoplastic Urethane (TPU) cased iPhone 5C, have polished beveled edges, treated aluminum, and the iPhone 5’s sapphire crystal covering the camera lens. 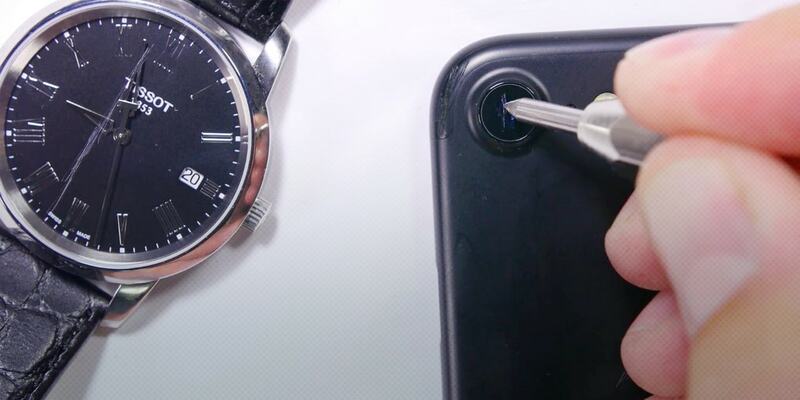 An iPhone looks at home when positioned next to a sapphire crystalled mechanical Swiss watch. Ive’s team discovered that the Swiss watch industry utilizes highly machined parts, but the watch industry creates them in small batches. Despite the watch industry’s approach for creating small batches of highly machined parts, the team decided to go “full bore” and utilize CNC machining as the primary method for creating Apple products as CNC greatly speed up the process than the Swiss watch industry approach. Further utilizing the Swiss watch influence on iPhone and iPad products, Apple is reportedly opening a manufacturing plant in Arizona focused exclusively on creating sapphire crystal. Earlier this week, Apple CEO Tim Cook alongside Craig Federighi and Bud Tribble confirmed Apple’s new sapphire plant in Mesa, Arizona on ABC News. Although they did not reveal how sapphire glass will be used, there is much speculation that sapphire will be used for the iWatch, and for iOS devices such as the iPhone and iPad screens. Moving away from Corning’s Gorilla Glass that does break when an iOS device is dropped, it is not as clear and clean as utilizing synthetic sapphire. Utilizing sapphire crystal in mobile phones is not a new idea. TAG-Heuer and Vertu have used sapphire crystal in their very high-end cell phones for years, but Apple can potentially bring this concept to the masses. 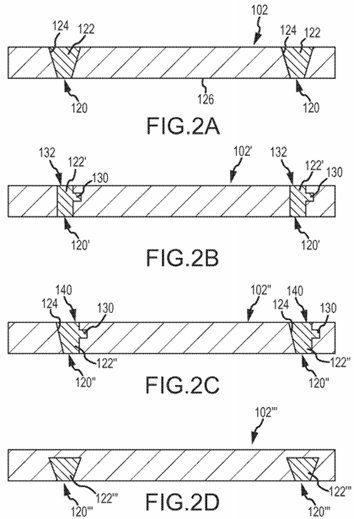 Further fueling the speculation that sapphire screens will be adorning Apple iPhone and iPads is the recently discovered patent document illustrating how Apple will affix sapphire crystal to an iPhone. The patent documents looks similar to how Rolex affix sapphire crystals to a watch case utilizing a compressed bezel on a slightly shelved flat crystal. The difficulty with sapphire crystal is its brittleness and subsequently cannot have any curves and must lie flat. Rolex has been using a compressed bezel holding a flat crystal against a Zytel gasket for years. The Apple patent document appears to use a similar concept. Although there are many design crossovers within the industrial design industry, the appearance of watch technology landing in iPhones is uncanny. I am certainly looking forward to seeing sapphire crystal in my next iPhone.